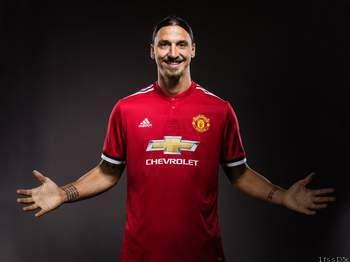 Zlatan Ibrahimovic will have to continue his deal with Manchester united as he just signs another “One-year” contract deal with the red devils. The official of the team made this known immediately after the deal has been made and it was also announced that Zlatan Ibrahimovic will never wear Number 10 shirt again. The 35-years-old player, Ibrahimovic have scored 28 goals in 46 appearances during the 2016/17 campaign before he met casual knee injury which made him to end his season untimely last season. Zlatan Ibrahimovic has won for himself championship in four different leagues since he started his professional football career with Malmo back in 1999.